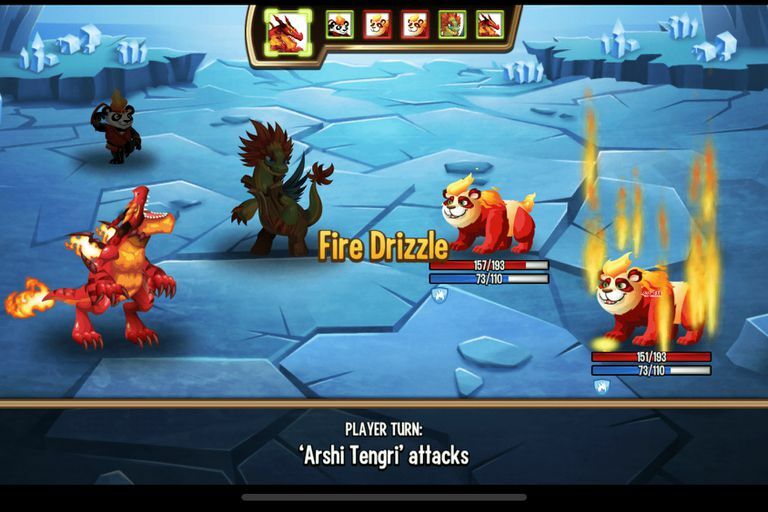 Monster Legends is a multiplayer RPG that can be played in your web browser through Facebook as well as via the game's native Android and iOS apps. While its basic gameplay is fairly simple, thanks to an in-game tour guide that can hold your hand each step of the way if you wish, Monster Legends offers more complex and challenging aspects as well. In this article, we provide an overview of how to play the popular MMO, from building your first habitat to pitting your team against other players from around the globe. So you've entered the world of Monster Legends and you're eager to hit the battlefield. Not so fast! Before you can even think about fighting you'll need to assemble an army of beasts, and in order to accomplish that you'll first need to start construction on your own Monster Paradise. The island where the game begins is essentially your home base and serves as the center of operations for creating, feeding, training and growing your monsters from cute little hatchlings to powerful beasts ready to take on all comers. A Monster Master named Pandalf will greet you once you start the game for the first time, walking you through the initial steps to get started with your first monster. It's important that you pay attention to this white-bearded sage, as you'll want to understand how to perform these tasks on your own going forward. It is also recommended that you follow the structured milestones that Pandalf sets out for you until you've gotten comfortable enough to choose your own path. These can be found by selecting the GOALS button, located near the upper left-hand corner of the screen. Building Habitats: Monsters can't just roam around your island aimlessly since they need a place to live that meets their individual needs. Different habitats can be purchased from the in-game shop to accommodate them, each one tailored towards a specific element and therefore meant for particular breeds. For example, a Firesaur needs a Fire Habitat to survive and grow. Habitats are paid for in gold and most have a minimum level requirement. After buying a habitat you must select a suitable plot on your island where it can be built. Hatching Monsters: Monster eggs can be purchased through the shop or gained by other means including promotions. When perusing the list of available monsters in the shop, you'll notice that each one features several important details including how rare they are, how much revenue they can earn while on the island as well as which type of habitat is required. Once an egg is acquired it's automatically placed in your Hatchery, where you can choose when to begin the hatching process. If the Hatchery is full, your new egg will instead be put into storage. After choosing to hatch an egg you're given the option to either sell your new monster or place it into a compatible habitat. Growing Food and Feeding Monsters: In order for your monsters to level up and grow stronger they need to eat, and the bigger they get the more they consume. Unfortunately purchasing packs of food from the shop can be cost prohibitive, leaving you with a stable of hungry beasts and an empty wallet. This is where your starter farm comes in, available for 100 gold and upgradeable when you reach higher levels. On your farm, you can grow different types of food for a much more reasonable fee, with each bushel or crop taking a predefined amount of time to be ready. You can even speed up the growth process if you're willing to part with some extra gold. On occasion you'll need to fork over some gold or gems anyway, however, as growing the type of food that you may need at a given time is not always an option. There are several other types of buildings that can be developed on your island, many requiring advanced levels and a lot of money. One very useful structure that can be purchased right away, though, are Worker's Huts; which unlock the ability to perform multiple tasks simultaneously. As you advance as a Monster Master your original island will no longer be big enough to house all of your habitats, farms and other buildings. It's at this point where you may want to purchase additional islands by clicking on the FOR SALE sign found on uninhabited areas and choosing the selection that fits your budget. Once you've hatched some monsters and leveled them up a bit, it's time to try your hand in battle. To get started, select the ATTACK button, usually positioned in the lower left-hand corner of the screen. Next, choose Adventure Map. You're now taken to an island containing ten numbered landing points, each representing a battle where you'll be matched against a set of enemies. Hopping from fight to fight as they progressively get tougher, the final step is to conquer the boss on that particular island. You can choose to change your team before each battle, inserting different monsters from your habitats for a better matchup. Monster Legends employs a turn-based fighting system, prompting you to choose an action for each beast when it's their turn. This could be an attack or healing skill, a spell, the use of an item or even a pass so that you can regenerate some stamina. The strategic decisions that you make during each turn as well as how you prepare your team before the first blow is struck can be the difference between winning or losing. As you become better at knowing what actions to take at certain points your prowess as a Monster Master will grow accordingly, preparing you for the eventual multiplayer skirmishes that are widely heralded as the best part of the game. With each triumph, you'll gain experience and riches, and as you move from island to island the opponents get tougher but so do the rewards. You even get to spin a roulette wheel after each win for a chance at additional bonuses including monster eggs, gems, and other useful goodies. After you've gained enough experience to reach Level 8 you can start exploring dungeons, where each battle is comprised of three rounds instead of one. There are multiple dungeons, named after their own respective reward type. For example, the Rune Dungeon rewards victors with Life, Stamina, Strength and other rune types that can be used to enhance your monsters' attributes. The Food Dungeon, meanwhile, presents an opportunity to stockpile large amounts of sustenance for your beasts. Navigating these dungeons means facing some formidable foes, but the payoff is worth the risk as long as your monster team is up to the challenge. While there is a lot of fun to be had while playing these solo components of Monster Legends, the real excitement comes when you reach Level 10 and can take part in player-versus-player battles where you're tasked with configuring your PvP attack and defense teams, searching for enemies and choosing to brawl. Not only do players fight each other in an effort to move up the Monster Legends leaderboard rankings and win their leagues, but they can also steal gold and food from the defeated opponent as a spoil of victory. You can also gain or lose trophies as a result of multiplayer battles. Strategy and preparation play an even bigger role in PvP, so tread lightly until you feel that you're ready for the big stage. As we've mentioned above, gold and gems can be acquired in a number of ways such as defeating your NPC and real-player enemies as well as earning funds from idle monsters in their habitats. There are other methods to earn precious gems, including watching promotional videos or advertisements when prompted. There are also times where you'll be presented with offers from third-party advertisers which involve completing surveys, signing up for services, etc. in order to obtain gems or other items. Monster Legends also promotes social media interaction, in particular on Facebook, and often rewards those players who choose to share their achievements and updated status with gems. If you simply can't wait or don't have the time to earn your gems the hard way, in-game purchases can be made with real money via the Packs section of the shop.